Please be advised that we do not use Porch or most other services for leads. These services all charge contractors to connect with customers and we would have to pass this cost to our customers. We offer our first time customers discounts by not using these services. Please ask for the new customer discount. We also offer other discounts from time to time that are only available to our email newsletter subscribers. 1. Call us using either phone number. There are times I just cannot answer the phone so please leave a short message. I will return your call and or text you. 2. Text message is the best way to contact us most of the time. You can text either number but I prefer that you text the 314 number for a faster reply. 4 . You may also use our new contact us form on the contact us page. SCOTT AND PAUL MARTIN STILL DO ALL THE WORK. We are proud to have been a recipient of the Angie's List Super Service Award for 2016! Let Scott give you a free estimate today. We can help turn your home from dull and dreary to bright and cheery with a new paint job. 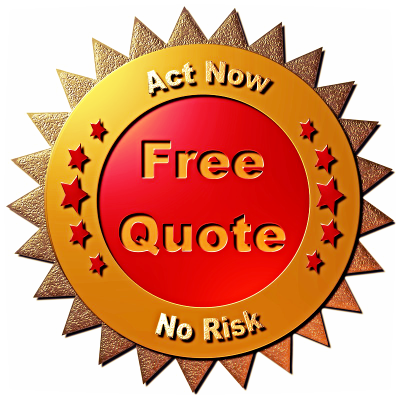 Call today to get your free estimate for residential painting or one of our pressure washing services. We have been serving the Chattanooga, TN area as Martin Brothers Painting since 2009 and Scott and Paul have over 40 years of combined painting experience. We want to be your painters in Chattanooga, Hixson, Red Bank, Soddy Daisy, East Ridge, Signal Mountain, Lookout Mountain, Birchwood and other areas in and around Hamilton county. We don't work outside of Tennessee! IF YOU WOULD LIKE TO SCHEDULE A FREE PAINTING ESTIMATE IN OUR CHATTANOOGA SERVICE AREA. If you have been searching for painters in Hixson, TN and around Hamilton County. Scott and Paul Martinwant to be your painters. In many cases it will be may be possible to visit your Red Bank or Hixson, TN address the same day you contact us for an estimate. In other areas of town it may take longer to visit your home to give you a free estimate. We are Hixson painters that have an A+ rating with the BBB. To see what people are saying about us on websites like Google, Angie's List, Thumbtack, Porch, YP, Houzz and Merchants Circle were all of our reviews by actual customers are all 5 stars. Someone we don't know and never worked for has given us a 1 star on Google and I have contacted Google about this but they will not do anything about it and said I did the correct thing by replying to it. So it is okay to slander people on Google! We do hope that you continue reading below and visit our other pages where you can learn more our interior or exterior painting services and to see what else we may be able to do for you. For a Limited time join our email list and get 5% off of labor on your first job we do for you plus current subscribers can greater labor discounts from time to time. Request your free estimate today during the times below! Monday - Thursday evening estimate arrival time will generally be between 6 and 7 PM but we may be available during the day so please ask. Some Saturdays we may look at jobs between 4 to 5 PM and some Sundays between 2 and 4 PM. Please ask us about other times as they may possibly be available. Our Services include but are not limited to painting or repainting the inside of your home or small office. Our normal business hours are Monday-Friday between 8:30 AM and 4:00 PM but are not set in stone. Late Fall, Winter and early Spring hours for exterior work are shorter and can very greatly due to the cold temperatures. Some days we just can't work outside at all. 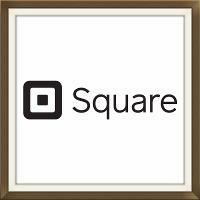 We now accept Visa and MasterCard payments from a link on your invoice or in person using Square on the job site. We give a 3% discount for cash or check payment in full on the day of completion if we have included credit card payment it in the original estimate.